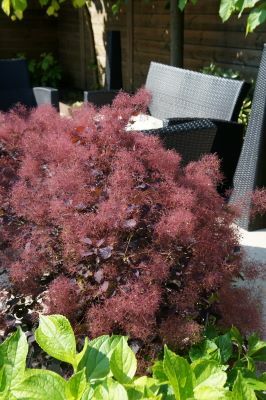 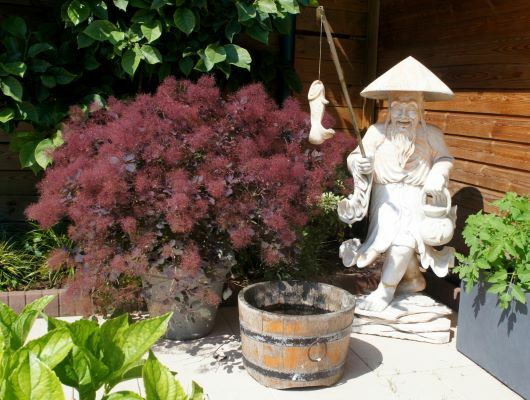 Dusky Maiden was a seedling from a crossing between Cotinus szechuanensis and Velvet Cloak. 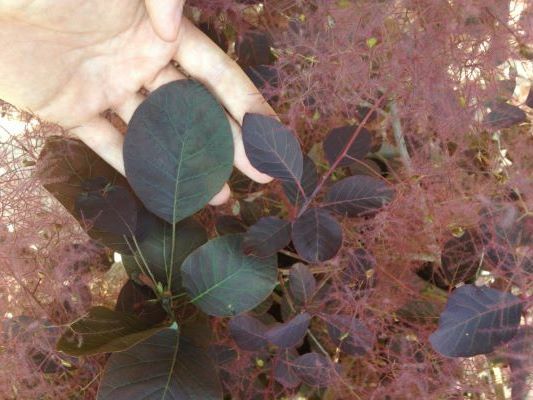 Roy Lancaster took this Cotinus szechuanensis home from Wenchuan, China. 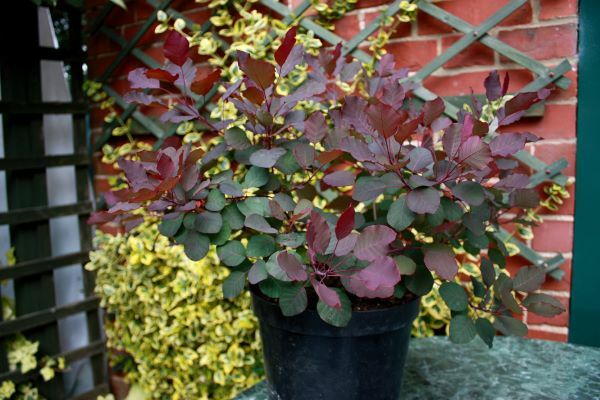 Dusky Maiden is an easy plant, making side shoots throughout the year. 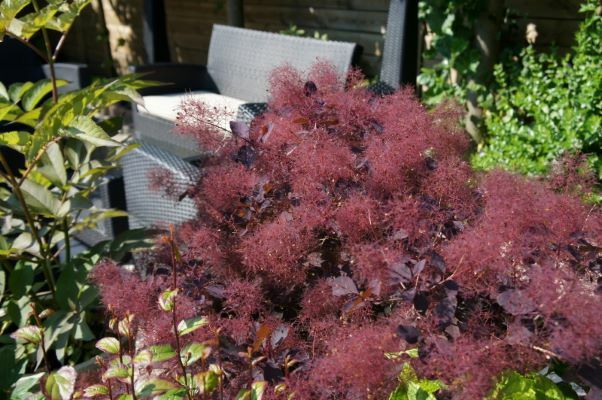 Better than Cotinus 'Royal Purple'.